The Toronto Star is Canada's largest daily newspaper. I've been with the paper since September 2013. As a staff reporter at the Star, I cover crime, politics, business, and all manner of news taking place in Canada's largest city. Read my stories on the Star's website. “The perfect summer day and its role in Canada’s growing workplace absenteeism” - a feature I pitched exploring the reasons employees call in sick, which ran on A1 on July 12, 2012. “The staggering truth about drunk walking” - a story I pitched about the dangers of walking while intoxicated, which ran in the national editions on December 29, 2011. “Police charge jailed man in series of arsons” – Dec. 21, 2011. For a full list of my Globe and Mail clippings, please see the Globe’s website. The Canadian Press is a multimedia news agency which produces content for major news outlets across Canada and around the world. As a reporting intern at CP's Ottawa bureau, I worked on compelling breaking news stories, and wrote articles which were published across the country. "Victims of online bullying move Ambrose to tears during government announcement" - April 30, 2013. Picked up by the Ottawa Citizen, the Calgary Herald, the Province, the StarPhoenix, the Montreal Gazette and Metro News. "Digital currency dealers grapple with big banks and murky financial rules" - April 28, 2013. Picked up by the Ottawa Citizen, the Montreal Gazette, Metro News, Global News, the Victoria Times Colonist and CP24. "New database will allow Canadians to track government spending data" - April 22, 2013. Picked up by Global News and the Victoria Times Colonist. "Conservative government says police had control over timing of terror arrests" - April 23, 2013. contributed files. Picked up by the Montreal Gazette, the National Post and Global News. The Ottawa Citizen is the major daily newspaper in Canada's capital, with a weekly print and online readership of almost 500,000. I helped cover the 2011 federal election, and wrote a couple freelance articles. 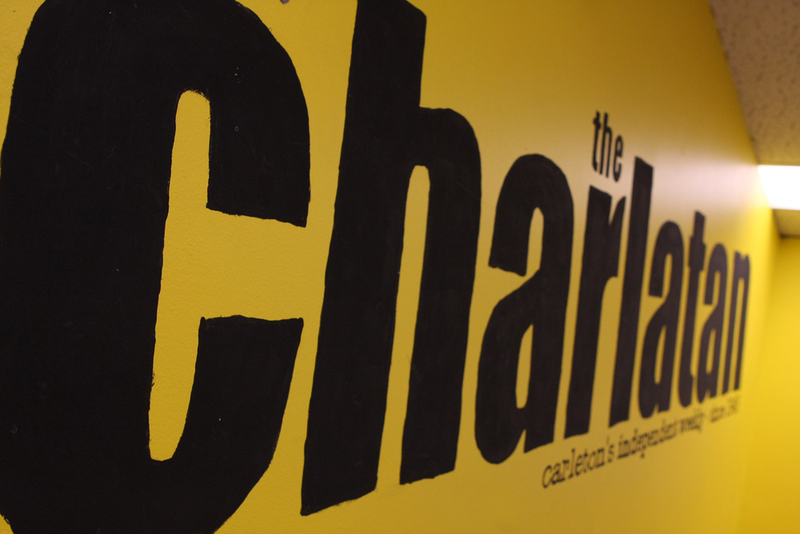 The Charlatan is Carleton University's independent student weekly, and the first newspaper I ever worked at. I served as editor-in-chief for the 2010-11 volume, overseeing a staff of 16 employees and more than 360 volunteer reporters. We produced 30 issues, and every week I managed staff, edited dozens of articles, and was responsible for getting all 8,500 copies of the paper printed on time. Before my time in the big office, I was news editor, responsible for assigning stories, editing articles, paginating the section and staying on top of breaking news.